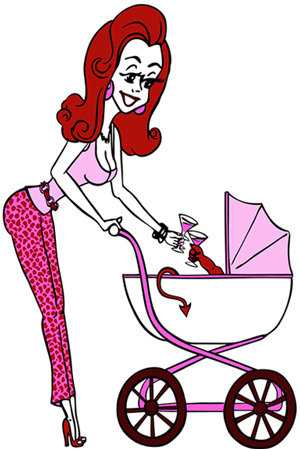 « Celebrate Bastille Day with Martini Mom & Devil Spawn! Leave it to our Deviant team to accidentally shoot a feature film without even realizing it. Last year for kicks we shot our little web series to purge some socio-political angst and take a break from our “proper” projects (proper gets old real fast sometimes.) Anyhoo, we had so much fun shooting, the next thing we knew we had 15 full episodes that, strung together, amount to 98 minutes of zany madness. Who knew? Apparently Gen-Con did. We’ll be screening the completed feature at their film festival on Friday, August 16 at 8pm. In the meantime, stay tuned. We’ll be posting episodes 11-15 in short order (sorry for the hiatus –it’s been a crazy year with whirlwind worldwide travels and those pesky “proper” projects elbowing their way into our martini recreation time at every turn.) Nonetheless, our entire season one should be up by month’s end — just waiting on final sound mix and score. In the meantime, you can catch up on episodes 1-10 HERE. Drink up, Folks (it’s 5 o’clock somewhere — and even if it isn’t — who really cares?) Cheers!